It is common American perception that the use of a nuclear weapon is simply unthinkable. But this newly declassified report undermines such a view. 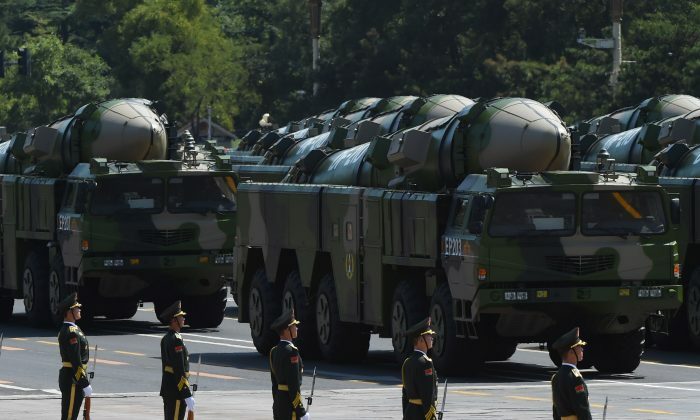 China doesn’t consider a nuclear EMP strike to carry the same taboo that a traditional nuclear strike does. They view it as more related to cyber warfare and far more acceptable. Their reasoning is based on the idea that when a nuclear warhead is detonated at a high elevation for EMP effects then people wouldn’t die from the nuclear fireball or fallout. A nuclear EMP attack poses another serious problem for America’s nuclear deterrent. For America’s nuclear arsenal to function as a deterrent, America’s government must be able to quickly and reliably determine who an attack came from. However, in the event of an EMP, much of America’s technological equipment used to make such an assessment could be put out of operation. Further, a bomb detonated hundreds of kilometers high may leave minimum physical traces for analysis. The report presents numerous scenarios where a global war breaks out and is won with use of an EMP. The EMP Commission was staffed with men of unmatched expertise. It was headed by Chairman Dr. William Graham who holds a PhD in electrical engineering and was the Director of the White House Office of Science and Technology under President Reagan. The Commission further included a retired General, a former CIA Director, and among its other subject matter experts is Dr. Pry who holds two PhDs, a certificate in nuclear weapons design from Los Alamos, and ten years as an intelligence officer at the CIA. Members of Trump’s national security team have read the EMP Commission’s work and are taking steps to mitigate some of the risks warned about. So far, however, progress has been limited, especially in the face of bureaucratic resistance from various holdovers from previous administrations. Daniel Ashman is an analyst from the suburbs of Massachusetts. He is the author of the book “Russian Agents: The Clintons’ Attack Against America.” His website is AshmanReport.com and he can be found on Twitter @dashman76.